Given how much talk there always is in the airline industry, I wasn’t expecting this to actually come to fruition. 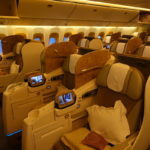 To my surprise, just a few weeks later the airline announced their intentions to add 4x weekly Boeing 777-300ER flights between the two cities as of spring 2018. 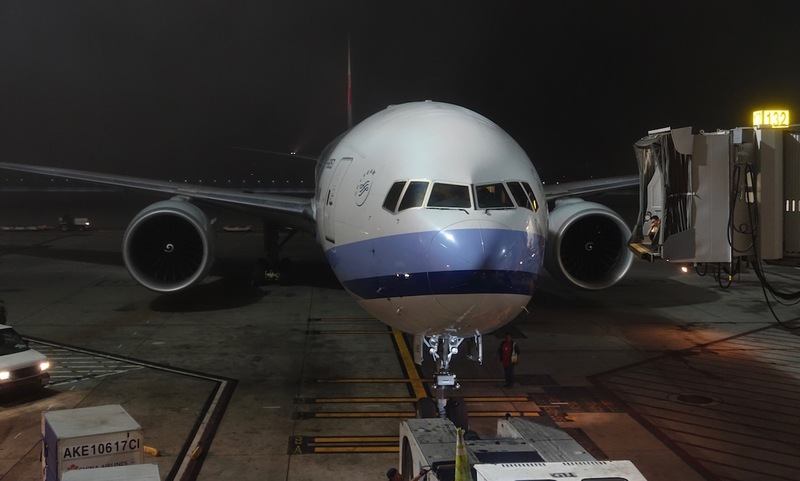 Then in late October, China Airlines announced that they’d operate a one-off flight from Taipei to Ontario, presumably to test out the facilities, given that no other commercial 777 operates flights to the airport. I figured they’d wait until after that test to announce further service, but that’s not the case. These new flights are now on sale. That’s not an ideal schedule for those looking to connect beyond Taipei, given that the 8:55PM arrival gets them in after the last major bank of flights for the night. 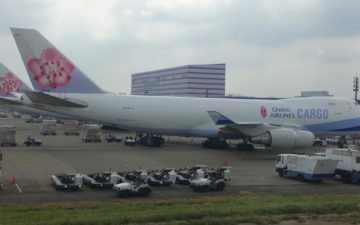 I’m a big fan of China Airlines. 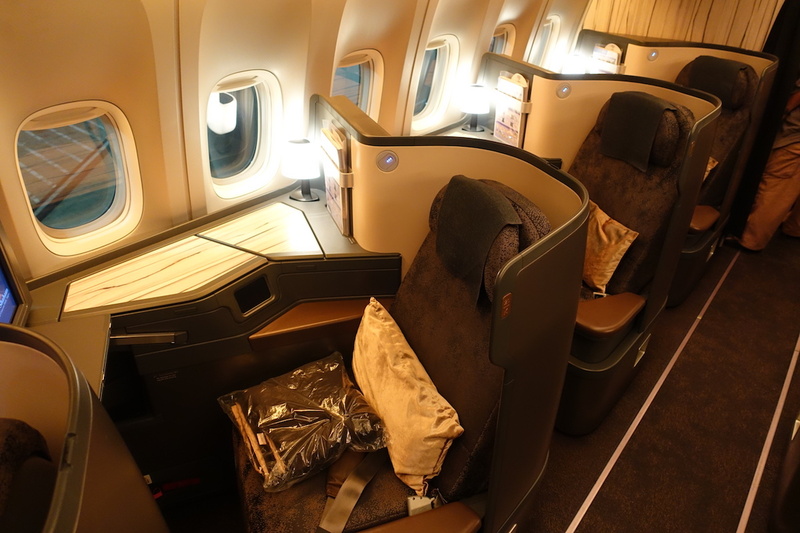 Their 777-300ERs are configured with 40 business class seats, 62 premium economy seats, and 256 economy seats. They have an excellent business class product, which I reviewed between Los Angeles and Taipei last year. This is a great opportunity for Ontario Airport, given that they don’t currently have any commercial longhaul service. I’m curious to see if this flight survives long term. While LAX is expensive to fly to, they have the ability to sell tickets to connecting passengers, which there really aren’t many of in Ontario. Ontario Airport is waiving landing fees for new longhaul airlines, so clearly that’s part of the motivation for making the switch. Furthermore, there’s a big Taiwanese population East of Los Angeles, and I imagine the route could do well with cargo. I think the biggest challenge they face is that international travelers who usually use ONT would also naturally look at flights out of LAX, while I’m not sure the opposite is true. What do you make of China Airlines decision to shift a daily LAX service to Ontario? Are they not Americans? That’s problem you have in USA division manifests itself in identity. If they are Taiwanese they would be in Taiwan! @ LondonLad — There are lots of problems with America, but personally I think referring to a population in an area as Taiwanese (as shorthand for being of Taiwanese descent, and therefore potentially interested in a flight that links them nonstop to Taiwan) isn’t one of them. It will be an interesting study, for sure. Whether or not it can fill a 77W every day? Maybe? The Mexican immigrant population down here is willing to drive the 1.5-2hrs down to San Diego to take the Border Express bridge to TIJ airport, people are definitely willing to drive the distance to save a couple hundred bucks, especially when you are talking families with 3+ kids. For myself with one kid…. I don’t think the couple hundred bucks was worth it. But others in our extended family that had 3 kids really felt the savings. If they can make it work out of ONT, hopefully more carriers will be attracted to do the same. It’s a great airport with great potential, and commute to/from is favorable even for those of us in North Orange County for whom SNA is more convenient, but consistently over-priced/under-served. From my experience with China Airlines I I think this airlines focuses mainly on Taiwanese passengers and flying Taiwanese. I don’t say they don’t welcome other nationalities, just the Taiwanese passengers are in the centre of their planning hence many decisions about routes and flights are made from this point of view. So taking this into consideration for most of people the decision to shift one flight to Ontario might be strange but for them it makes sense. It makes sense a taiwanese airline focus on markets with a big Taiwanese population/descendants. Regarless the fact that they were born here in the US or in Taiwan, they might have strong connections with Taiwan. It totally make sense. Also, it’s a great opportunity for people living in Southern California to travel to SE Asia. I live in OC and would take this flight in a heartbeat if the prices were good. I’d rather drive up to Ontario than LAX during rush hours. It’s not just catering to the Taiwanese population (I’m Taiwanese, I’d love to take this flight), but also Vietnamese, Thai, Cambodian, Singaporean, etc… Places in Asia where there isn’t non-stop flights from LAX, this makes total sense since there are a lot of Asians in San Gabriel Valley. If the majority of travelers are booking the other way around, they will search LA on the website and most likely be presented with this option. You have the wrong flights listed. CI 5/6 are cancelled, not 7/8. I started playing in SABRE yesterday to see what connections work – looks like only TPE-BKK and TPE-HKG have late flights – otherwise a stopover in TPE will be necessary to other SE Asia destinations. That could be a problem filling the plane daily. @ Fishy — Fixed, thanks! LAX has been hoarding all passengers. Making it hopelessly crowded with worst traffic at any time of the day. ONT is so much more convenient than LAX to get in and out of. Los Angeles area should really look to distribute passengers with regional airports NOT hoard them. ONT sued LAX on this issue while ago… Now ONT is ran by city of Ontario, CA. It’s a good plan because ONT is just as close to San Gabriel Valley (home to one of the largest Chinese populations in the US) as LAX. Also much less highway traffic to ONT not having to drive thru Los Angeles so I think this is good for them and more flights can follow. I just landed at ONT last week. I was being picked up and decided to see how much time it would take to get off plane and in car. It was 4 minutes and 43 seconds and we were on the highway shortly afterwards. 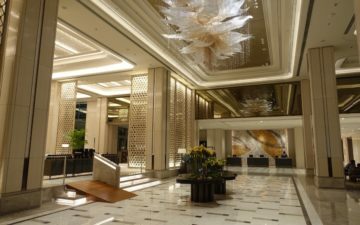 I booked 2 tickets for family travelling to Vietnam end of March, $595 each out of OTN, same as LAX. Huge time saving and avoid all the headache! Actually that’s not true. They could be recent immigrants or simply students, so they are in fact only Taiwanese citizens. Enough of this SJW nonsense. when booking china airline , careful for the Chinese names passport holders regardless nationality, I was denied boarding with China airline from hk to tpe to lax just recently because of missing middle name on my boarding pass Never have any problems with Singapore and Emirates as I came back from my maldives vacation, ended up paying full econ fare back from my original business booking. I used to fly in/out of ONT frequently pre 9-11. ONT was busier in those days. Some carriers pulled out completely after 9-11 and the airport seemed empty for a long time. If ONT wants to become a busier airport they need to add parking–a multi-level structure would be great–one that connects to a terminal. Hard to find parking in the mornings. There were no covered spaces. (Has this changed?) Imagine landing in heavy rain with two suitcases and a briefcase, walking to your car parked on the outer fringes of the lot with no hand for an umbrella. Now that I’m retired I don’t miss frequent flying. You appear to be trying to make some kind of commentary on the social or cultural awareness of America, yet at the same time you stereotype 330 million people all at once with your “That’s problem you have in USA…”. True or not, you are obviously the wrong person to deliver that message. Time for a mirror and some self-reflection. Cheers! They can fill seats by connecting people living in the San Gabriel/Diamond bar area to the rest of Asia. But given the times into and out of ONT, you’re looking at 30 min less driving time at most. So I don’t see much of a benefit and certainly downsides if they don’t market this well enough. Unless they have a contract to sell J seats to a local corporation? I left the ST valley a long time ago. Perhaps a local can shed some more light. London Lad is spot on. the us empire was primarily a place of economic hustlers and hucksters (McDougall, deToqueville, Berman). Perhaps, the airline exists for non-americans. And that is their view. Sure, americans can use the airline–however, it is for the non-american audience. And yes, there are some “good” folks etc..in the us empire .however, 400yrs the historical narrative was simply–a corporation (‘country’) to get rich. Berkovitch, Mechten, Berman, McDougall, Vidal, Lewis, Moffett, deToqueville et al have written extensively about this. Since nobody is mentioning this, one of the reason is premium outlets. When you go to Ontario Mills and especially store like Coach, you will likely encounter a person who is buying the more than 30 bags with more than 30 credit card as well. I guess he/she might be reselling those bags back home. According to Wikipedia, [LAX] holds the record for the world’s busiest origin and destination (O&D) airport, since relative to other airports, many more travelers begin or end their trips in Los Angeles than use it as a connection. Based on this logic, it might make sense that China Airlines wouldn’t worry too much that Ontario doesn’t offer too many connections to the rest of the United States. 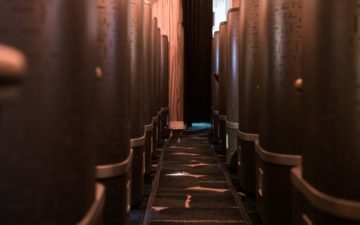 With respect to connections beyond Taipei, maybe there are concerns. If you arrive in Taipei at 9pm, the connecting options are Hong Kong, Bangkok (reach there at 2am), Sydney, and Brisbane, and Melbourne. 1) Is ONT equipped to service 77W? Terminal / Bridge wise? 2) How fast / slow is the custom / immigration process compared to LAX for US citizens? I would love it when no more driving to crowded LAX. I just book end of March flight to Taiwan after I saw the news ,China airline new route to Tpe never flight from ONT ,I will try just see how is,hope it go well. I just found about this from my wife while I was booking a R/T flight from Taipei to LA today. We will be flying into LAX at the end of March and departing from Ontario, and it’s the same price as if we were flying to and from the same airport, which is a bonus (the red-eye flight into LAX fits my work schedule better). As an original resident of SGV (Alhambra), I would much prefer to take the 10 East straight to Ontario rather than struggle against the 10 or 105 West right through the heart of LA traffic. Saving 30 minutes on an hour drive is significant during peak times for SGV residents headed West or East (e.g., an hour and 10 min to LAX vs. 40 minutes to ONT), not to mention the substantial time wasted at LAX with the slow rental car shuttles coming from facilities that are way off-site, all vehicles having to navigate the nightmarish U-shaped traffic trap design of LAX and long TSA lines that sometimes reach the escalator. The ONT route is a godsend for flyers like me who travel the Taipei-LA route multiple times a year, and will be our go-to option from now on. The only thing I’ll miss is the good food options at the LAX International departure terminal (Umami Burger, ink.sac, 800 Degress Pizza, etc.) since we get free meal vouchers with our requent flyer tier, but I’ll manage with Schlotzsky’s at ONT Terminal 2 since El Paseo is garbage. My wife will certainly miss the Duty Free shopping at LAX but that just saves me some $$. Added bonus: the rates to rent a car at Hertz at LAX and return at ONT, is the exact same as if you were to return at LAX.